Pets Costs > How Much are Hamsters at Petsmart? How Much are Hamsters at Petsmart? Hamsters are among the many small pet options at PetSmart, and the prices of a hamster at PetSmart will depend on their variety. How much does a hamster cost at PetSmart? PetSmart offers a variety of hamster options and the price will depend on the type you’re looking to purchase and if any promotions are currently being held. Noted below are the most common options available at local Petsmart stores along with the “average” price. Buying a hamster is more than just purchasing the animal. You will also have to factor in costs such as buying the cage,($30 to $70), along with a water bottle ($5), chew sticks ($5), bedding material ($5), toys ($5 to $10) and an exercise wheel ($5) for entertainment. When purchasing a cage, consider the size, and always try to purchase a cage that is labeled for a hamster. If you purchase a cage that isn’t designed for one, they may be able to escape. As for recurring costs, bedding and food will have to be purchased weekly or monthly, depending on the amount you purchase at once. Plan on spending upwards of $25 per month to care for your hamster. The hamster varieties offered at PetSmart, as indicated in the table above, include the long- and short-haired hamsters, winter white hamsters, Russian and Chinese dwarf hamsters, Robo dwarf hamsters, and fancy bear hamsters. 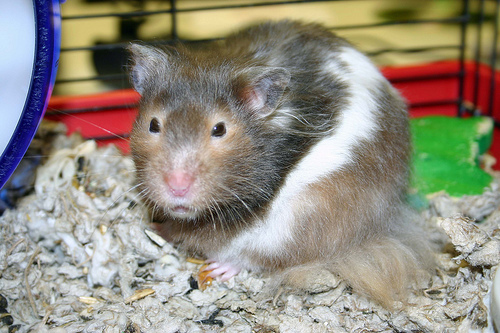 The dwarf hamster, which tends to be the most common hamster sold at Petsmart, are slightly smaller than a Syrian hamster and will eat less food. They also tend to be more social and prefer to live in family groups. The varieties offered at your local PetSmart will vary depending on a few factors such as your location and the time of year. The availability of some pet hamster varieties is seasonal. Hamsters, as well as other pets purchased at PetSmart, are among the company’s Vet Assured program, which is designed by PetSmart veterinarians to aid in the improvement of pet health and welfare. With the Vet Assured program, vendors are obliged to agree to meet specific standards for caring and observing pets for typical illnesses. The program also ensures that animals receive adequate in-store pet care through explicit standards that vendors are required to comply with. In the event that a pet bought at PetSmart becomes ill during the initial 14-day period, the pet store will replace or refund the purchase price. Customers who are unsatisfied with their purchases can also have their animal replaced or their payment refunded. PetSmart has a Small Pet Center that provides guidelines on caring for small pets such as hamsters. Topics include ways to choose a small pet, diet and nutrition, habitat set-up, grooming, and pet supplies and accessories. Most hamsters seen in the store will be shy at first due to their nocturnal nature and store environment; however, as most hamsters have varying personalities, they will to recognize you and warm up over time. Be sure to place the cage in a quiet place since they sleep during the day. In this area, the amount of light should be considered and the direct sunlight should be avoided. Plan on spending 20 minutes a week to clean up the cage. It’s also best to change the food and water daily. Hamsters, in general, have high energy levels and are typically active at night. These pets are ideal for children age 10 and up. They can live up to three years with proper maintenance and care. Hamsters are normally affordable pets, but the costs associated with supplies can add up quickly. When it comes to food and other supplies, purchase them in multiple quantities. Bulk buying often results in significant discounts than when purchasing items in small quantities. Instead of buying commercial litter and bedding, substitute it with newspaper or plain toilet paper. A homemade obstacle course can also be created using old toilet paper rolls. Check out the company’s official sale page of the small pet section on the PetSmart website for a list of small pet supplies currently on sale. Consider checking out a local adoption center to see if they have any hamsters available for adoption. Seeing it’s a popular household pet, you may be able to find one that needs a home.